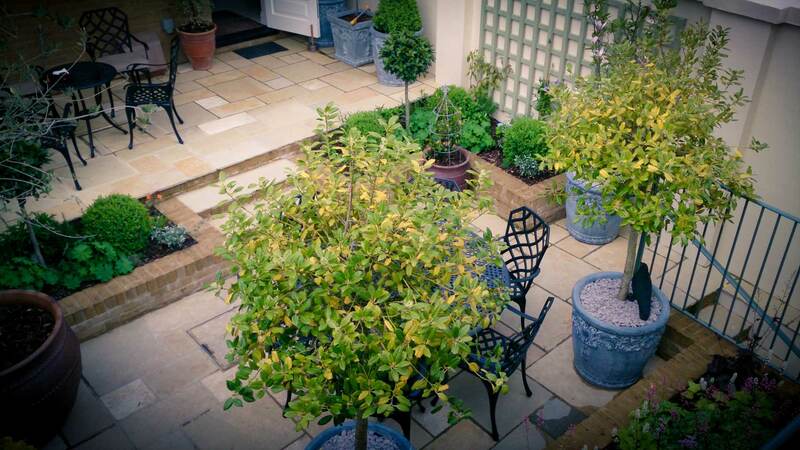 The brief for this project was to design a secluded courtyard garden with an abundance of pots and plants, creating an intimate area to relax in and enjoy. 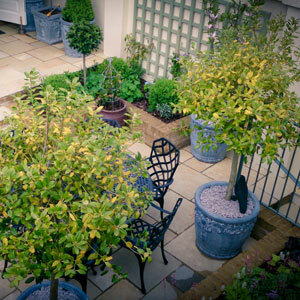 A mixture of evergreen topiary giving year round structure to the garden along with a few small trees to provide a leafy canopy. Summer flowering perennials and lush evergreen foliage fill the raised planters, whilst climbers such as clematis and ivy scramble up the customised trellis. A round table and chairs sit harmoniously in a sunken area providing the perfect place to dine and entertain.